The Anvil Chorus is the English name for the Coro di Zingari  (Italian for "Gypsy chorus"), a chorus from act 2, scene 1 of Giuseppe Verdi's 1853 opera Il trovatore . It depicts Spanish Gypsies striking their anvils at dawn – hence its English name – and singing the praises of hard work, good wine, and Gypsy women. The piece is also commonly known by its opening words, "Vedi! Le fosche". —i bruni panni ond'era involta. —Chi del gitano i giorni abbella? —Il corpo e l'anima traggon dal bere. —Brilla più vivido nel mio [tuo] bicchiere! —shows all her beauty in brilliance gleaming. —Who turns the Gypsy's day from gloom to brightest sunshine? —flow from lusty wine to soul and body. —and give to our wine gay new splendor. Thomas Baker wrote Il Trovatore Quadrille (1855) for piano, which includes a movement based on this chorus. Similarly, pianist/composer Charles Grobe wrote variations on the Anvil Chorus for piano in 1857. A swing jazz arrangement by Jerry Gray for the Glenn Miller Orchestra in 1941 reached #3 on the U.S. Billboard charts. The melodic theme also served as the inspiration for "Rockin' the Anvil" for swing jazz ensemble and accordion on John Serry Sr.'s 1956 album Squeeze Play . Thomas Baker was a nineteenth-century composer and musical producer. Jerry Gray was an American violinist, arranger, composer, and leader of swing dance orchestras bearing his name. 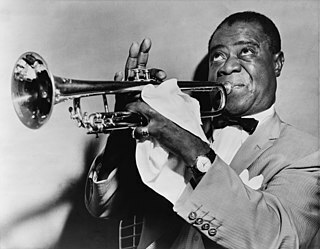 He is widely known for his work with popular music during the Swing era. His name is inextricably linked to two of the most famous bandleaders of the time, Artie Shaw and Glenn Miller. Gray, along with Bill Finegan, wrote many of Miller's arrangements during the late 1930s and early 1940s. In the latter part of Gray's career, his orchestra served as the house band at the Venetian Room of the Fairmont Hotel, Dallas. Franco Alfano was an Italian composer and pianist, best known today for his opera Risurrezione (1904) and above all for having completed Puccini's opera Turandot in 1926. He had considerable success with several of his own works during his lifetime. Margreta Elkins AM was an Australian mezzo-soprano. She sang at The Royal Opera and with Opera Australia and other companies, but turned down offers to sing at the Metropolitan Opera, Bayreuth and Glyndebourne. She recorded alongside sopranos such as Maria Callas and Joan Sutherland. 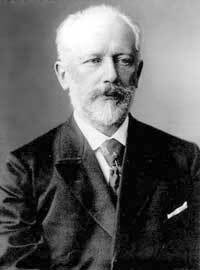 The Oprichnik or The Guardsman is an opera in 4 acts, 5 scenes, by Pyotr Ilyich Tchaikovsky (1840–1893) to his own libretto after the tragedy The Oprichniks by Ivan Lazhechnikov (1792–1869). The subject of the opera is the oprichniks. It is set in Ivan the Terrible's court during the oprichnina times (1565–1573). Francesco Balilla Pratella was an Italian composer, musicologist and essayist. One of the leading advocates of futurism in Italian music, much of Pratella's own music betrays little obvious connection to the views espoused in the manifestos he authored. Șerban Nichifor is a Romanian composer, cellist and music educator. La Dafne (Daphne) is an early Italian opera, written in 1608 by the Italian composer Marco da Gagliano from a libretto by Ottavio Rinuccini. It is described as a favola in musica composed in one act and a prologue. The opera is based on the myth of Daphne and Apollo as related by Ovid in the first book of the Metamorphoses. An earlier version of the libretto had been set to music in 1597–98 by Jacopo Peri, whose Dafne is generally considered to be the first opera. Zingari (Gypsies), also known as Gli Zingari, is an opera in two acts by Ruggero Leoncavallo. 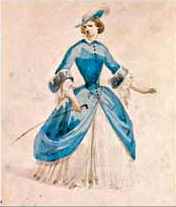 The libretto by Enrico Cavacchioli and Guglielmo Emanuel is based on The Gypsies, a narrative poem by Alexander Pushkin. The opera premiered on 16 September 1912 at the Hippodrome Theatre in London. ↑ The Ricordi score uses the title "Coro di Zingari", not "degli Zingari", on p. 100 of its score. ↑ "Billboard Magazine (USA) Weekly Single Charts For 1941". Hits of All Decades. Retrieved September 14, 2016. ↑ Richard Taruskin (14 August 2006). "12". Music in the Nineteenth Century: The Oxford History of Western Music. Oxford University Press. pp. 596–597. ISBN 978-0-19-979602-1 . Retrieved 23 October 2018.